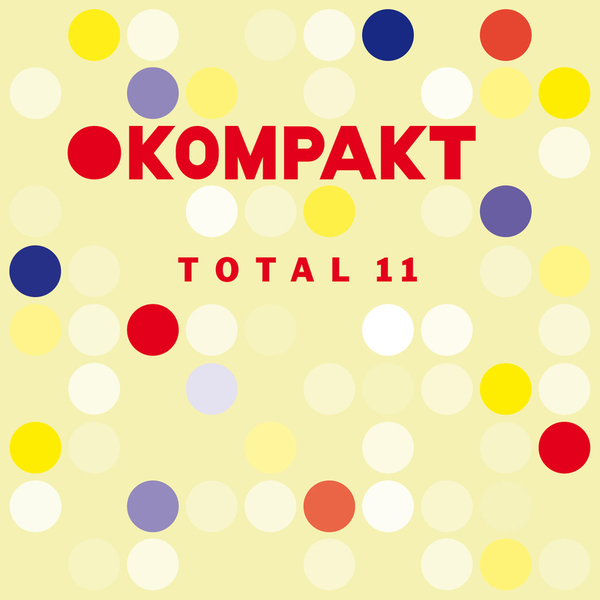 Now eleven installments deep, Kompakt maintain the highest standards with their latest 'Total' roundup featuring 26 tracks from DJ Koze, Wolfgang Voigt, The Field, Gusgus, Matias Aguayo and many more. Opening duties are ably handled by Koze who successfully goes out on a limb with 'Der Wallach', an acutely experimental number with distinct similarities to Wolfgang Voigt's awesome Sog 12" for Profan. Beligerantly, Sog turns up with the luscious 'Silbereisen', which sounds nothing like the Koze track, but check his 'Abweichung' 12" for justification. The Field track 'Caroline' moves further towards the Kosmische truth, sounding like a later Moebius & Plank track for 2010, and Superpitcher cuts loose with 'Lapdance', one of his weirdest jaunts in memory. Robag Wruhme can always be counted on for heavier dancefloor goods and 'Rollmoff' is no exception, while the more poppy end of the label's agenda is handled by the likes of Ada's mix of Gusgus's 'Hateful', and Popnoname's 'Hello Gorgeous', whereas Ivan Smagghe's It's A Fine Line project and Mugwump give glam-rocking dancefloor variants. For fans of the mature modern European dancefloor, this is a must.